Let’s face it – our kids are rough on their watches. Which is why you won’t find a better watch for your kid than… a G-Shock. 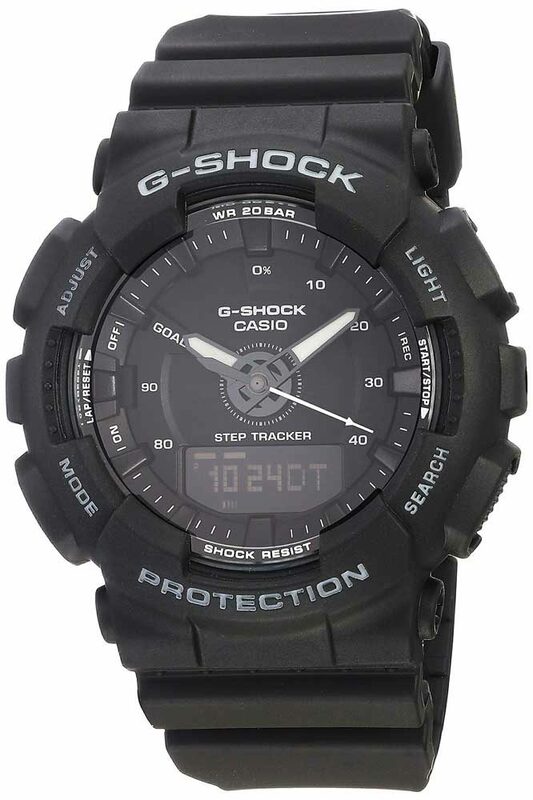 G-Shocks are scratch resistant, water resistant, and shock resistant. In other words: they’re childproof. Combine this with a wide range of fun and colorful designs that kids love. Finally, G-Shock is also a “real” watch. It doesn’t feel like a cheap toy, and your kid will appreciate it. But not all G-Shocks will fit the small wrists of children. Which is why we’ve put together this list of top 17 Casio G-Shock watches for kids that will keep your child coming home for dinner on time for years to come. P.S. We included G-Shocks watches for both boys and girls. Both colorful and “black” monochrome models. #1: Does The Age Matter? S-Series – S-Series G-Shocks give you all the functionality of a normal G-Shock at 70% of the size, which makes them perfect for the small wrists of children. 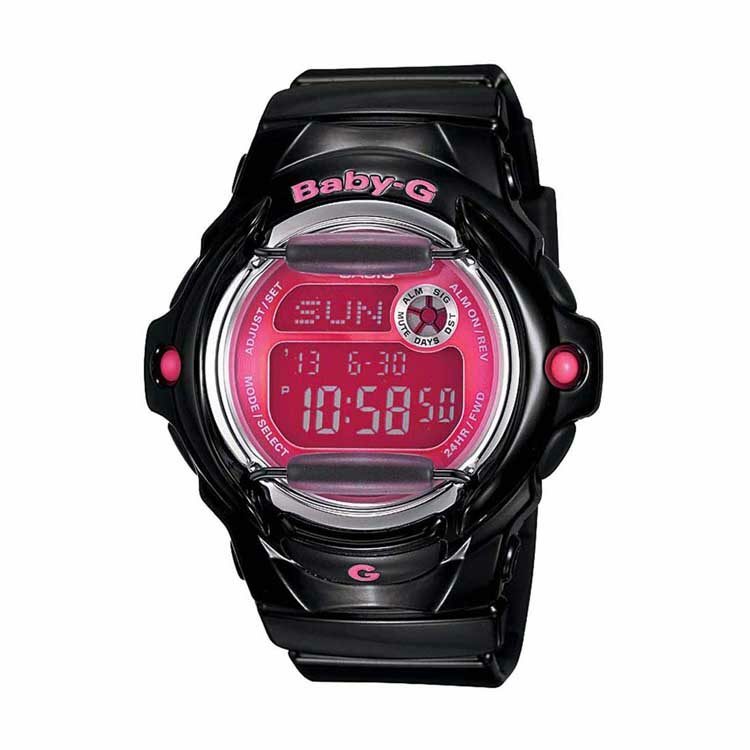 Baby-G – Baby-G is the G-Shock sister brand that’s made for women. They’re smaller in size but have all the functionality and ruggedness of a G-Shock. 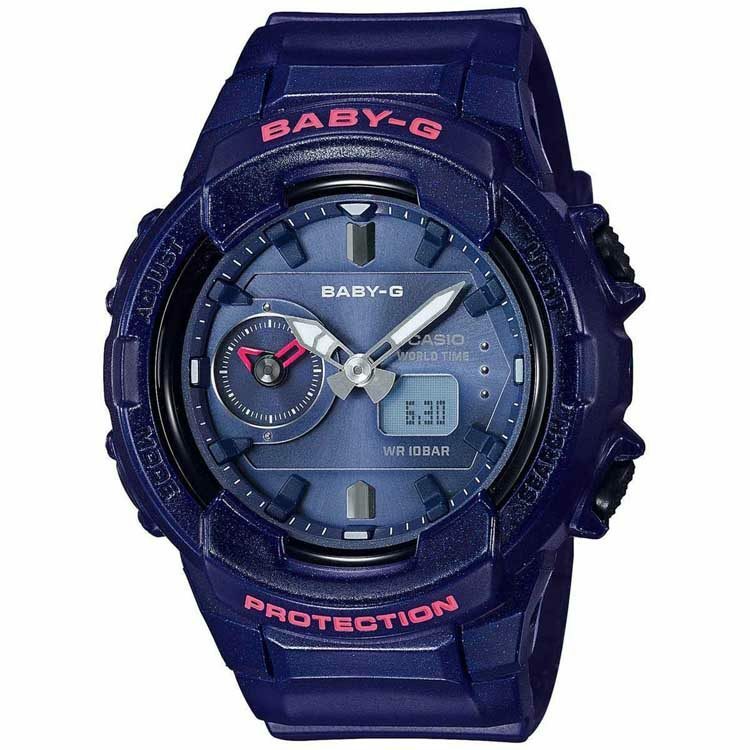 The only difference is that the branding on the case says “Baby-G” instead of “G-Shock” and that some models come with 100m of water resistance instead of the regular 200m. There are plenty of unisex models that will also fit boys. Smaller Standard G-Shocks – Not all G-Shocks are big and bulky. In fact, there are multiple models that will fit a child’s wrist just fine – the “squares” for example. The upside of “regular” models is that your kid will keep using his watch as he grows older since regular models come in a more neutral design. If your kid is 10 or older, you can go for any model on this list. 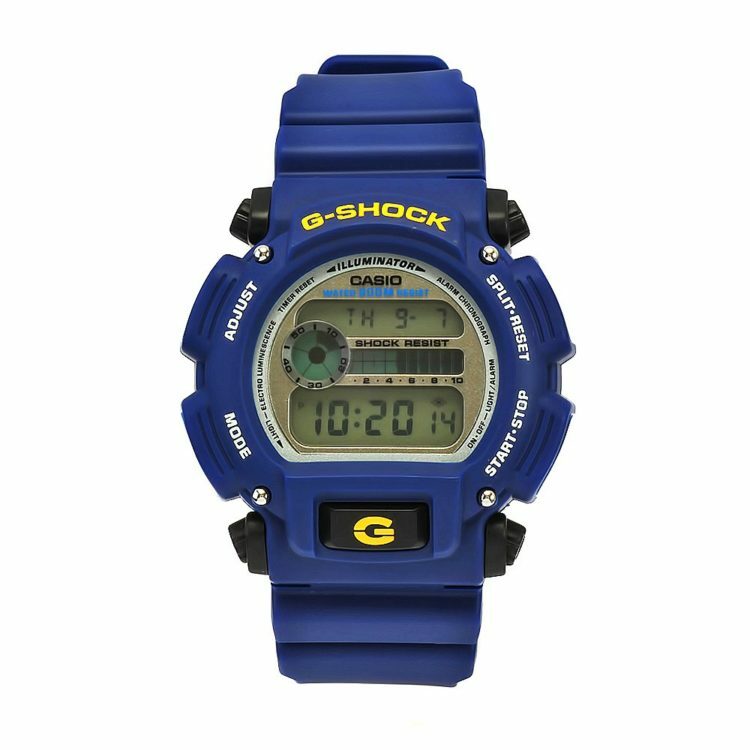 G-Shock DW9052 is one of the most popular G-Shocks ever, and the vibrant aesthetic of the blue model makes it perfect for kids. At 48.5mm in diameter, this G-Shock is one of the bigger models included in our list, which makes it better for children over the age of 10. While the features are basic, this is a proper “adult” watch that your kid can wear at any age. P.S. 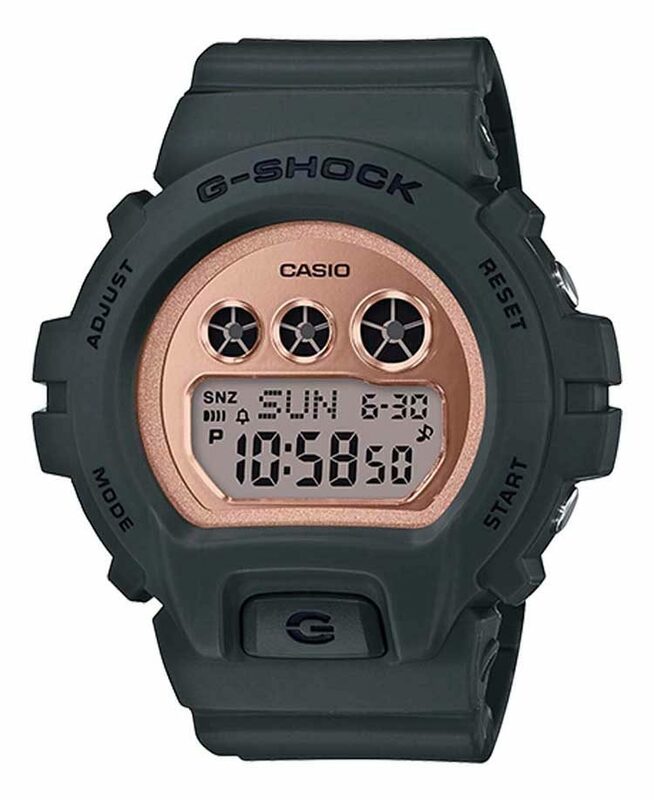 The Black G-Shock DW9052 is extremely popular with skaters. 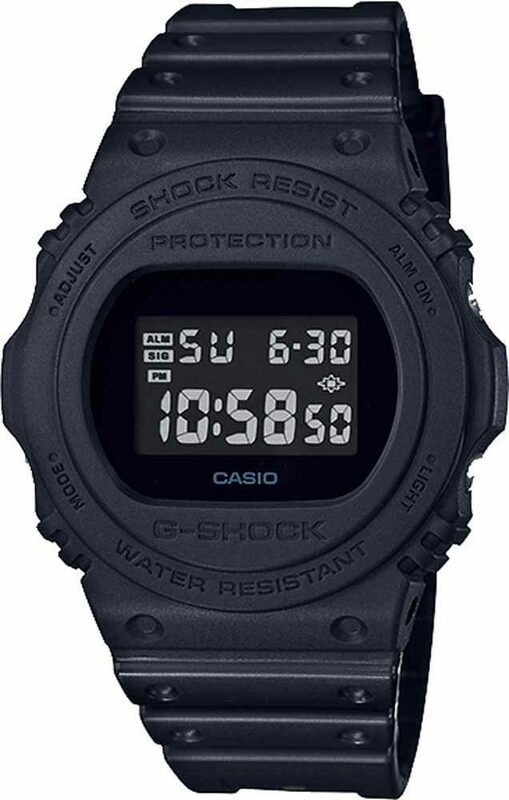 G-Shock DW5600BB is a part of Casio’s “all-black stealth” line. 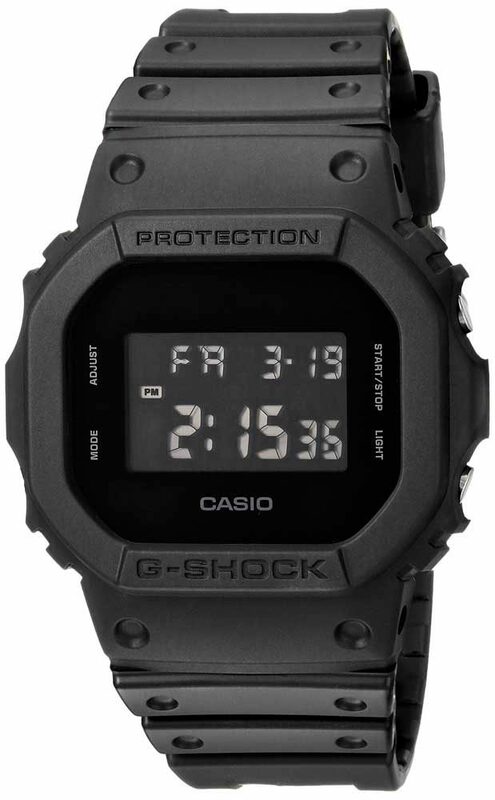 The minimalist, all-black look of the watch makes it more stylish than the regular “rugged-looking” G-Shocks. The subtle design of DW5600BB fits with formal outfits, making this watch more versatile than your average G-Shock. P.S. I have this model personally and it’ my go-to watch for any occasion. GMAS130VC is a great travel companion, as it comes with world time and a dual time display, allowing your kid to monitor two timezones at the same time. It’s also easy to set the time according to your location. 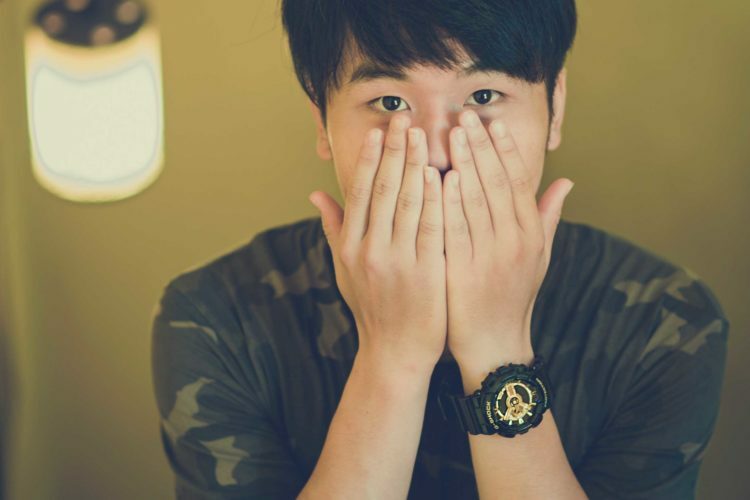 This model is a part of the G-Shock S Series – it’s 70% the size of a regular G-Shock. Note that there are 3 colors available – the watch comes in black, gray, and orange. 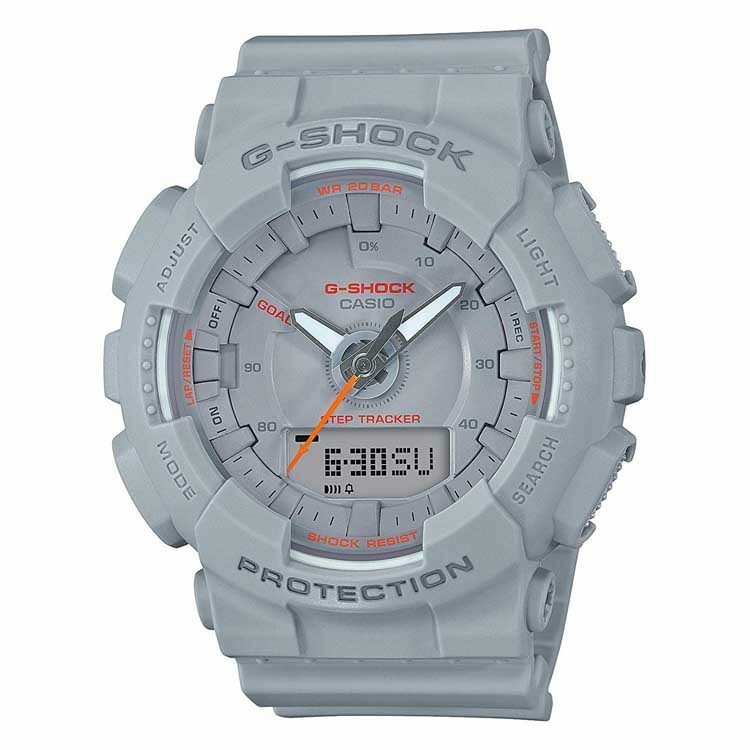 With its metallic dial and neutral colors, the G-Shock GMA-120MF will fit with anything in your kid’s wardrobe. The watch comes with 5 alarms and has a separate dial for tracking the stopwatch seconds. Despite being an S-Series watch, it’s relatively large at 46mm in diameter, which makes it a better choice for children of ages 10+. The GMA-120MF watch is available in a whopping 9 colorways: Beige, Black, Blue & Black, Blue & Gold, Light Blue, Light Red, Pink, White & Gold, White & Silver. The watch, the legend. DW5600E-1V has the same design as the first G-Shock watch released in the 1980’s – but with all the latest upgrades in G-Shock technology. DW5600E is as close as it gets to the original G-Shock, which the “geekier” kids might appreciate. While it is not speficically “made for kids”, the DW56000 is one of the smallest G-Shock models available and will fit on any wrist. Besides from looking great, G-Shock GMA-S130 also counts your kid’s steps. And if your kid is anything like my boy, you’ll be hearing about new “step records” all the time. This model also stores daily step data for 8 days and weekly step data for 4 weeks. Who knows, maybe you can even do a step competition? The S-Step comes in 4 colors: White, Pink, Black, and Turquoise. 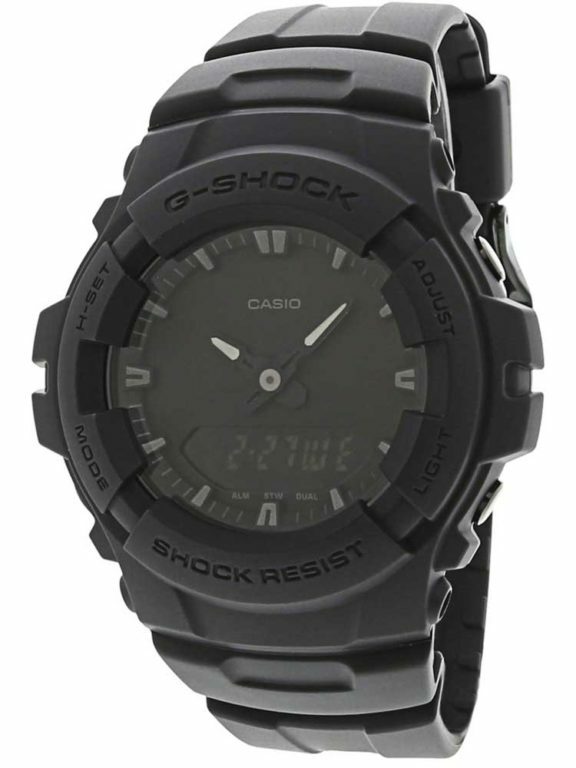 DW-5750E is another stylish “blackline” G-Shock from Casio. It’s very similar to the DW5600-BB above, but has a rounder design. It’s a cool-looking watch that will fit with any style or outfit your kid is wearing. P.S. In fact, my boy loved the picture, so I’ll probably have to buy him this G-Shock this summer. Everyone get ready – we’ve reached the Tough Solar territory. Tough Solar G-Shocks come with a tiny solar panel inside of their display. The battery is self-charging from any light (not only sunlight) and the watch will keep ticking for 8 months without seeing any light on a full charge. The GWM530A-1 also comes with atomic timekeeping. At 00:00 every night, the watch automatically calibrates its time via a radio signal, which makes it extremely precise. In comparison, quartz movements without atomic timekeeping gain or lose 15 seconds per month. Most importantly, you’re getting amazing value – G-Shock GWM530A-1 is in the same price range as other watches on the list. 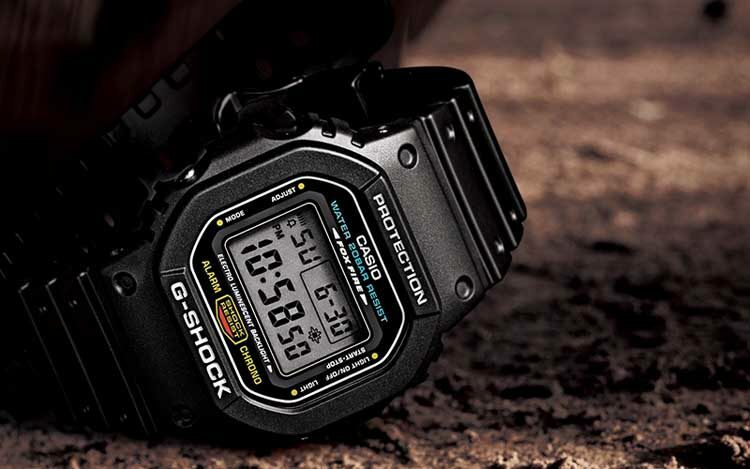 Like the GWM530A above, G-Shock GWM-5610 is another Tough Solar & Atomic Timekeeping option – this time in a square case. The features are the same, but the square case is slighly smaller, making it better for younger children with smaller wrists. 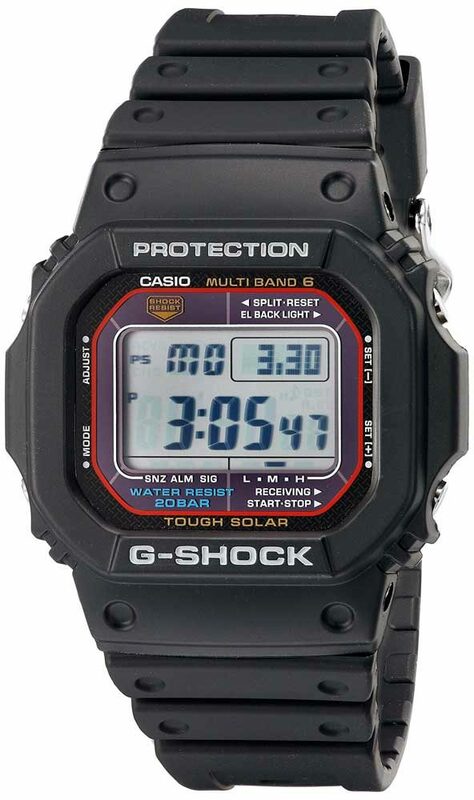 A part of the smaller S-Series, G-Shock GMD-S6900MC sports unique looks is a reduced version of the classic DW6900 G-Shock model. When it comes to features, the standouts are: World time (48 cities) and flash alert. You’ll also love the three second-counter rings on top & the dedicated light button in front for better accessibility. The watch comes in 4 colors: Army Green, Black, White, and Rose. 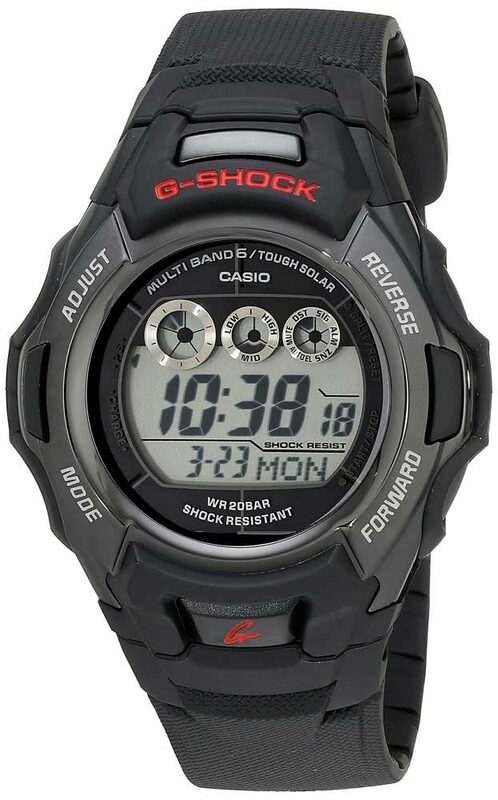 Slimmer and smaller than most G-Shock watches, G-Shock G100-BB has a minimalist vibe similar to Casio’s other blackline watches. You get a dual time display and luminous hands (uncommon on G-Shocks) with the basic G-Shock functions. The “stealthy” watch face is simple and elegant. It gives this G-Shock a unique look that wouldn’t look out of place even in a formal setting. Can you resist that navy-blue look with red accents? 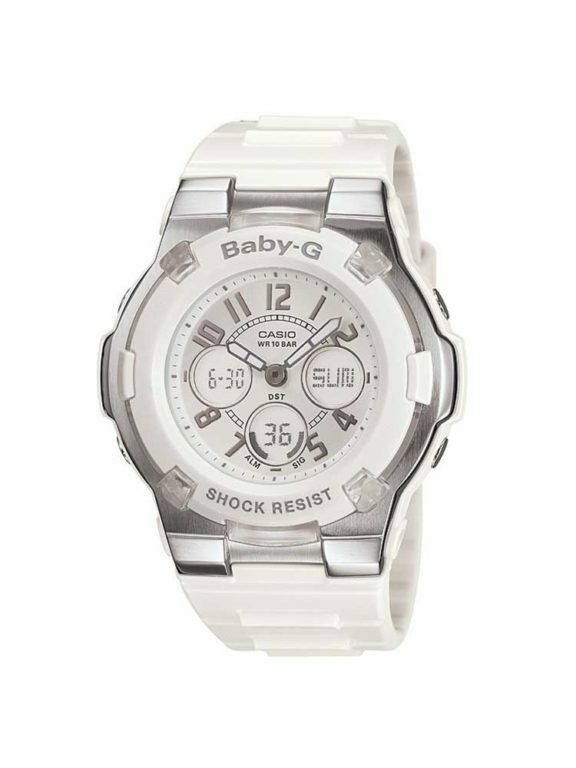 This watch from the Baby-G line is packed with features while remaining simple in style. You get a separate dial on the left showing the 48-City World Time, and an additional digital window on the right for either date or time display. Since the BGA230S-2A is a part of G-Shock’s sister Baby-G line, the water resistance is 100m instead of the usual 200m – but that’s still plenty for anything you’ll do. Unlike the calm blue model above, Baby-G BA-111-1ACR is an explosion of pink over black that that gives the watch a very “girly” look. The watch looks cool and is one of the top-selling Baby-G’s on Amazon. It’s got your world time & dual time features in addition to basic G-Shock functionality. “Black Whale” is humble in its size and design, which makes it perfect smaller wrists and if your kid doesn’t want his/her watch to stand out. In fact, this Baby-G is the smallest watch on the list. 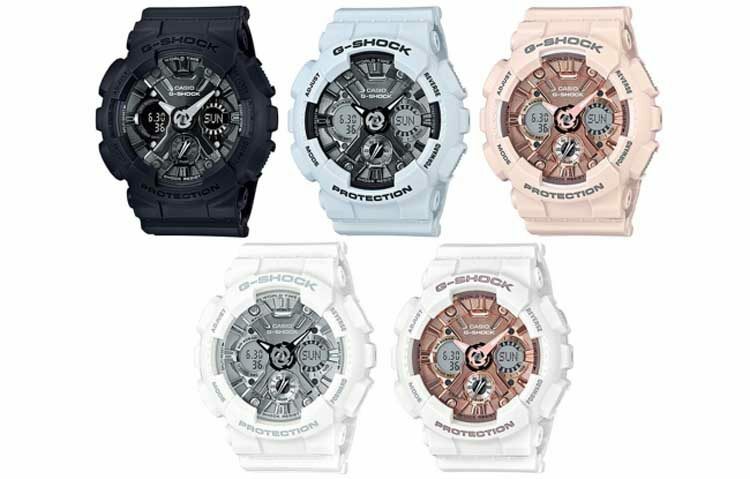 It comes with the world time functionality, but also has the 200m water resistance of the regular G-Shock watches. All in all, this G-Shock has just the right level of flair for a girl, and isn’t overly big on her wrist. Elegantly designed numbers “spinning” around the dial give this Baby-G a unique look and sets it apart from other similar watches. At 40mm in size, it’s small enough to fit even the tiniest wrist. There is a small screen for seconds counting on the dial. And while you might not see it from the dial, this watch also comes with the world time functionality. 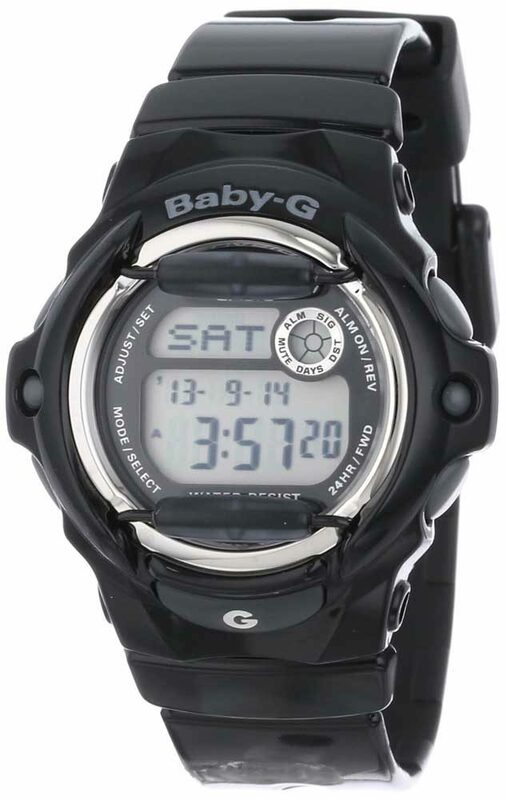 BGD140-1ACR is one of the more “unisex” Baby-G models. The tactical look reminds me of the military G-Shock GD350 – in other words, there’s nothing “girly” or “baby” about this watch except for the words on the case. 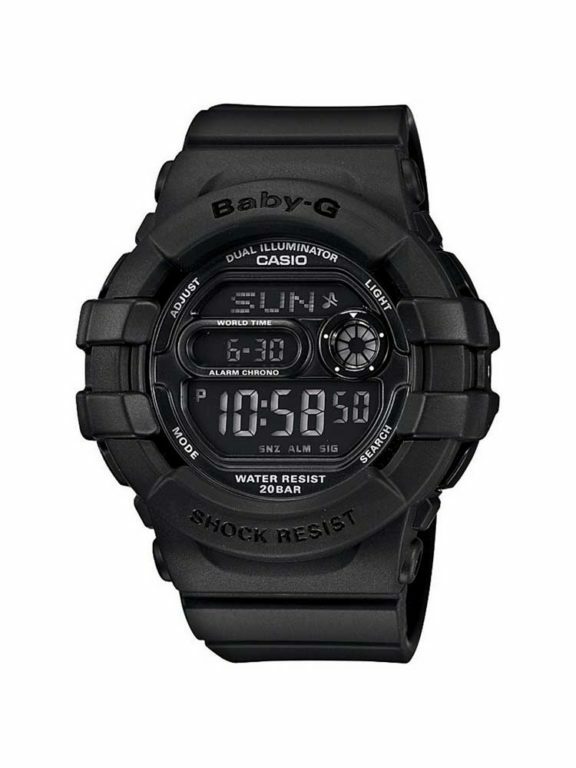 You get all the regular Baby-G features, as well as 200m of water resistance that you don’t usually get on a Baby-G watch. 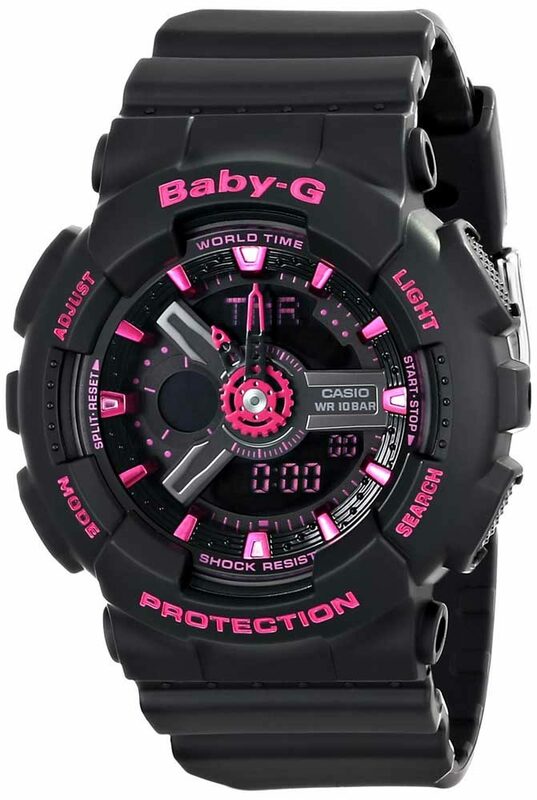 The bright pink dial of Baby-G BG-169R-1BCR makes it stand out from the crowd. Further, the dial is protected by two bullbars which give the watch a tough and tactical look. All in all, you won’t find this mixture of pinkness and “tacticality” anywhere else. This is definitely a watch that will catch looks at a party. My eight-year-old son is rough on watches. He’s broken 3-4 regular Casio models by either banging them around or sinking them in a bathtub. Finally, I went to the store and got him his first G-Shock. He liked the present and has worn it daily since. He loved the functions and used the stopwatch to time nearly everything for the first week when he had the watch. He also started setting his own alarm on the G-Shock. That was 2 years ago. And guess what? He still has the watch. The G-Shock takes all of the abuse my kid dishes out at it and keeps ticking.